The idea for the book came about when our garden blackbirds built a nest close to the back door. I began to see the potential for a book that was about paying attention to the natural world around me and in particular about my garden and the local patch. With its enchanting song, striking orange bill and endearing willingness to share our living space, the blackbird is one of our best-loved birds and amongst our closest and most frequent encounters with the natural world. They frequently nest close to our homes; our local birds nest in the clematis over a wooden trellis outside the back door. Living on the edge of the Lake District, my garden is in close proximity to Kendal Fell and to woods, hedgerows and fields and to the limestone scars and foothills of the Cumbrian mountains. In writing the book I wanted to document and celebrate the importance of garden habitats as a vital element of our shared living spaces. But more than this, the book became a way of recording my visits to other celebrated habitats – to the Isle of Mull in the Hebrides, to Staffa and to the Solway coast with its abundant overwintering contingents of barnacle geese and whooper swans. I share encounters with sea eagles, puffins, whales and porpoises and with that iconic species of the wild – our precious lowland breeding curlews. What other bird gives voice so eloquently to the very idea of natural habitat? But the curlew is in serious decline. What are the reasons, and what might be done? And what is the story behind the loss of that other iconic bird, the golden eagle, from its Cumbrian home? The loss of species represents not merely the loss of a kind, but a cultural loss and a dimming down of our precious and enriching environments. Karen Lloyd is a writer of creative non-fiction and poetry based in Kendal, Cumbria. She is a contributor to the Guardian Country Diary, has written for the Family section of the Guardian and is a features writer for BBC Countryfile magazine. 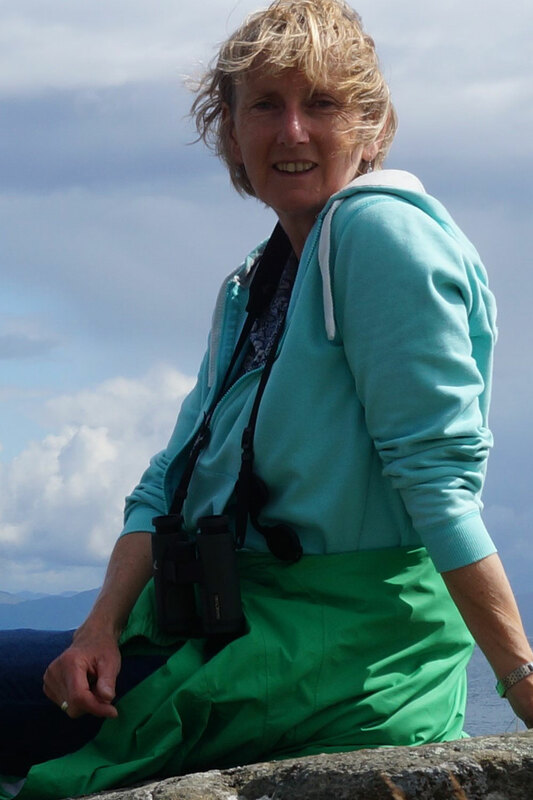 She contributes to a number of blogs, including Caught by the River, and writes for a number of literary journals, including Scottish Island Explorer and Scotland Outdoor. Karen is a member of Kendal’s Brewery Poets and recently graduated from the Creative Writing M.Litt programme at Stirling University, where she gained a distinction. Her first book, The Gathering Tide, won a Lakeland Award.